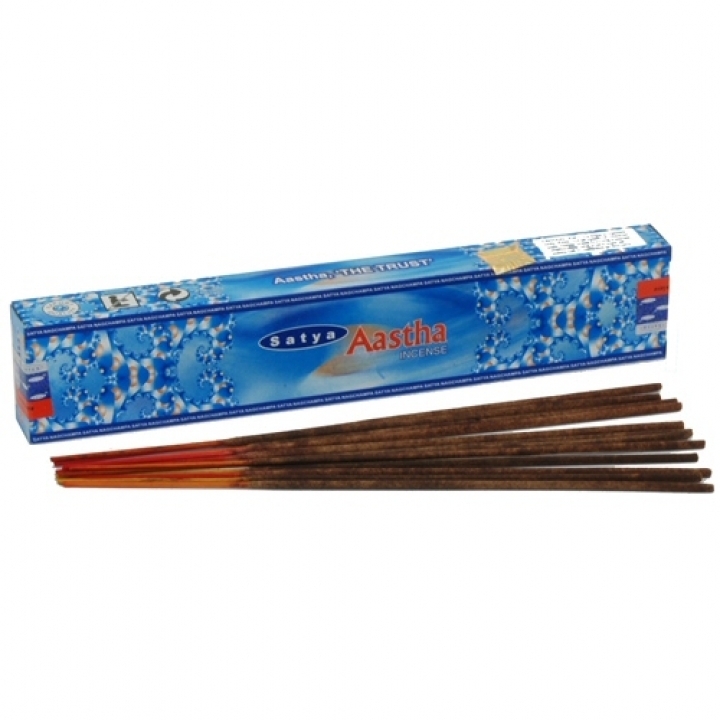 This 15g packet of Satya Sai Baba Aastha Incense contains 15 x 8 inch incense sticks. From the makers of the Original Blue Box Satya Sai Baba Nag Champa comes the high-quality fragrance of Aastha, "the trust". This smooth aroma has tones of champa and vanilla mixed with a floral scent.